You just never know how your contributions will change the world. In the case of Arctic birds, those contributions are drippy and white. Poop. We’re talking about poop. A recent study found that gases produced by huge quantities of seabird guano can increase cloud cover, thereby slightly reducing air temperature. The study results were published in the journal Nature Communications. Climate change is a serious issue all over the globe, but it’s especially pronounced at the poles, where glaciers are vanishing and ecosystems are shifting at a dramatic rate. Understanding the many factors effecting these changes is essential if we want to protect our planet. Some factors, like a damaged ozone layer, are fairly obvious. Others are a little stealthier. Take those bird droppings, for example. The Arctic is home to dozens of bird species and millions of birds, and they’ve all got to poop somewhere. Their runny poop—actually a combination of urine and feces—dribbles down the walls of their cliffside dwellings, accumulating in puddles and streaks. Animals have excretory systems in order to get rid of materials they don’t need. We simply push them out of our bodies into the world around us. But the story doesn’t end there. The contents of our waste alter the environment they enter, often imperceptibly. The uric acid in bird poop, for example, releases ammonia (NH3) into the air. A few years ago, researchers decided to find out exactly how much NH3 those birds’ butts were making. 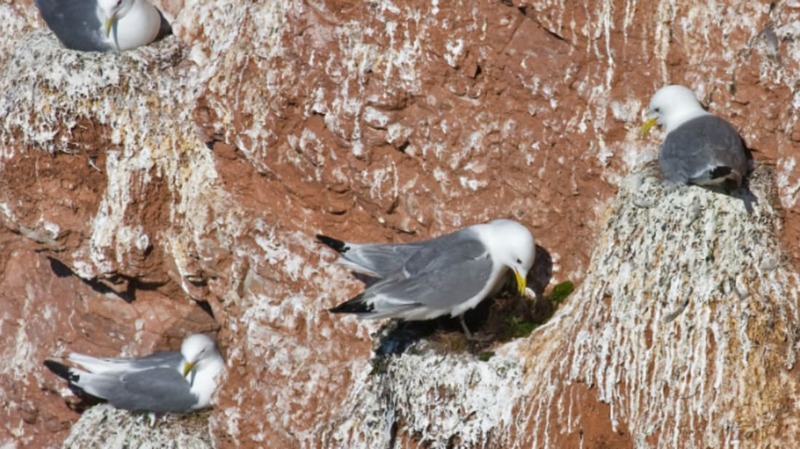 They conducted a global survey of 261 million breeding pairs of seabirds, then built a database listing the birds’ location and ammonia output. Now, a team of climate and biology researchers from universities in Canada and the U.S. have put the excellent database to a very specific use. They were interested in figuring out if Arctic seabirds in particular were making enough NH3 to affect local weather. To find out, they pulled information on the birds’ productivity, then fed that information into a model that simulated the movement and transformation of ammonia particles in Arctic air. They found that molecules of the birds’ ammonia could influence the growth of new particles, which could then expand and expand until they created new clouds. The clouds, in turn, could reduce the temperature above the bird colonies. Not by a lot, mind you; we’re talking about teeny, tiny changes. But we’re also talking about millions of birds in a swiftly shifting environment. The results highlight just how linked we are to our planet, the authors write. Even as our lives and bodies are touched by the heat and air, we are touching back.